If your future includes a move, be sure to make Meathead Movers your Diamond Bar movers! Our professionally trained student-athlete movers, moving concierge, and Princess Packers are prepared to get you safely moved into your new Diamond Bar home. While you look forward to moving, our Diamond Bar movers will take care of the rest. Do not let the thought of packing and moving put a damper on your spirits. 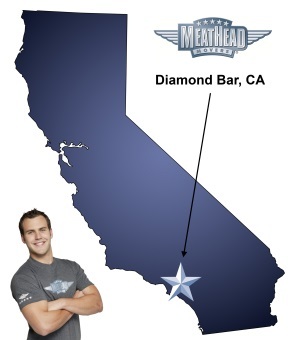 Meathead Movers can bring much-needed simplicity and peace of mind to your entire move to Diamond Bar. Moving to Diamond Bar, an affluent city nestled in Los Angeles County, can be an exciting opportunity. A quintessential Californian town with a strong sense of community, Diamond Bar is the perfect home for people of all ages. From hiking the gorgeous trails of Sycamore Canyon Park to enjoying the breathtaking views of the San Gabriel Valley at the magnificent Diamond Bar Center, you will be able to enjoy seasonal festivities, community events, and outdoor escapades all year round. Ranked consistently by CNN Magazine as one of the top 100 best places in the United States, Diamond Bar has also been named by Family Circle magazine as the best place to raise children. Whether you are looking for top-notch schools, excellent recreational facilities, exciting events, or rich cultural diversity, Diamond Bar is sure to please. From planning the initial logistics to packing up and transporting your valuable belongings, Meathead Movers has you covered. Our experienced Diamond Bar movers specialize in all aspects of moving, starting with packing or storage and including local and long distance moves. We can also be contracted to conduct on-site relocations and any number of commercial moves. Simply put, we make moving to Diamond Bar as seamless, pleasant, and efficient as possible. Our Diamond Bar movers are committed to providing you with the complete assistance that you need to make your move as coordinated and timely as possible. We are the hardest working movers in the industry and are always ready to help! In fact, when our movers are not handling your possessions, they are jogging to make sure your job gets done as fast as possible. We hire only the best from reputable local schools, such as California Polytechnic State University Pomona and Mt. San Antonio College. Experience the Meathead difference. We offer support all seven days of the week, so we’re available whenever you need us. From on-site relocation services to local and long-distance moving, our student-athlete movers will make the entire process as streamlined and hassle-free as possible. In fact, we are the only company that offers a 100% satisfaction guarantee. Enjoy our complimentary moving concierge services and great incentive programs offered by Meathead Movers. Contact the top-rated Diamond Bar movers at Meathead Movers today for a free quote at no obligation to you. View more Diamond Bar resources. The movers were hustlers! They were very nice and professional. We enjoyed the polite, respectful way Meathead Movers interacted with us and with each other. They were courteous and careful with our belongings and asked questions when needed. We very much appreciated how they helped our move to be smooth and efficient. We would hire them again and have already been telling our congregation and friends about them. Great Team! They were hard workers, courteous and polite. Very professional service. This was the third time I've used Meathead Movers and I've always been impressed by your staff, the efficiency of all team members, and the speed of packing and moving. The movers are clean cut, polite, and courteous. Good job! Everything! Excellent service, very professional. The whole process was a lot slower then anticipated. I felt the crew took a long time to wrap furniture. Yes, they jogged from the truck to the unit, but I didn't find them to be the most efficient with their time, while collecting items and loading into the truck. There was also a change order due to the distance from the street to our new location, which is fine, but this was not even identified until we got to the new location. I felt the expectations were poor and not explained really well. The crew also took a lunch, also more then okay, but this was not explained beforehand that this was going to happen. It was hard to plan and schedule when it becomes unclear how the move will take place time frame wise.